Welcome to the Taboo Carnival. Our topic this Fall is I LOVE YOU BUT I DON’T ALWAYS LIKE YOU! This post was written for inclusion in the quarterly Taboo Carnival hosted by Momma Jorje and Hybrid Rasta Mama. 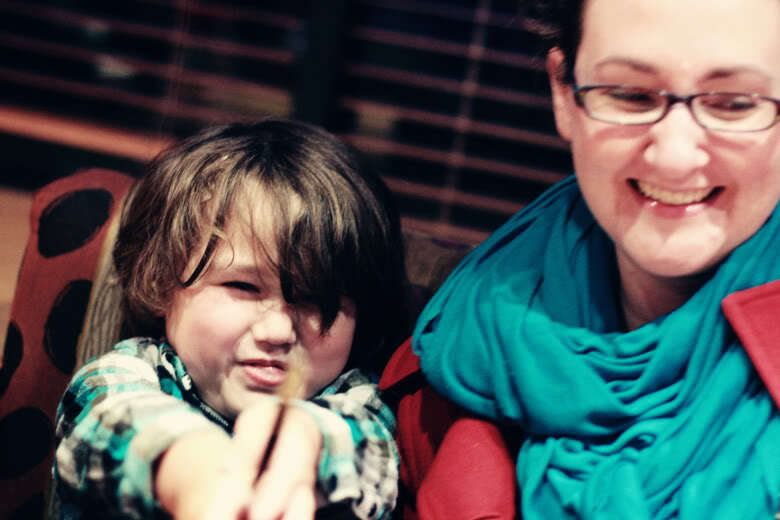 This month our participants reflect on the concept of loving versus liking our children and their behaviors. Please read to the end to find a list of links to the other carnival participants. Ever want to sing a lullaby like this to soothe your kids to sleep? 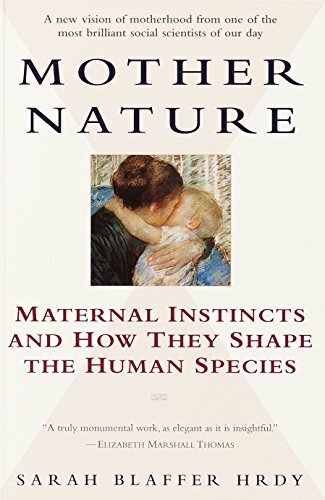 It was an interesting book to have chosen during my postpartum period, because the text is often dark and disturbing — an unflinching look at how mothers don't always live up to what we've decided (as modern Western humans) is their "nature." That is, we as mothers are not always — stop me if you disagree — self-sacrificial, nurturing, long-suffering, pure, and single-minded in the care of our young. We are much, much more nuanced than that — and we have to include the dark parts of ourselves (or, simply, the human parts — and animal parts!) when discussing what motherhood truly looks like. Mother Nature gives a more balanced view of motherhood as practiced in reality in many environments. 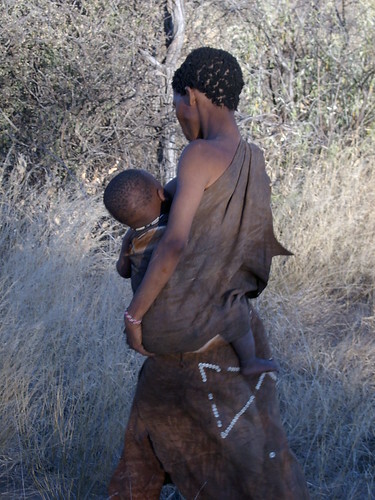 The !Kung people — bushmen or hunter-gatherers who have exhibited a high level of attachment parenting (babywearing, long-term breastfeeding for three or so years, cosleeping, unassisted birth, etc.) and whom I discussed in my review of Our Babies, Ourselves — might be the "ideal" for how to raise babies, but they are not the only option for how human mothers have historically or presently cared for children. While we might aspire to have the perfect maternal nature (we might; we might not), we have to acknowledge this salient truth: What babies need and what mothers need or want can be in conflict. Mothers don't always live up to the ideals of "maternal nature." This isn't debatable. Biologically and historically, human babies have been programmed to expect long periods of attachment to nurturing caregivers. Human infants are weak, with big heads and helpless bodies; they have voracious appetites and little in the way of communicating distress besides screaming. They do best when kept close to caregivers, particularly and regularly a lactating one. 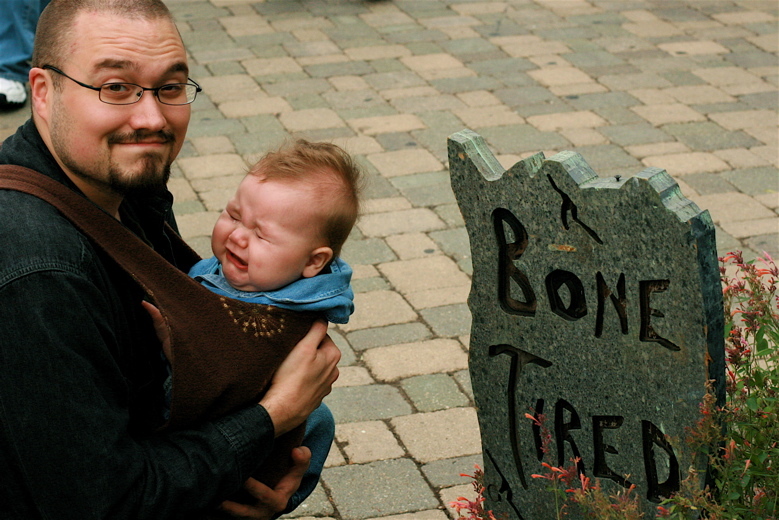 It's not always feasible or desirable to practice attachment parenting at every second. It just isn't. There are times when I need (or want, or selfishly choose) to go to the bathroom to relieve a bursting bladder despite the fact that my baby would rather I stay put and continue to nurse. There are times when my back or my hips ache too much for babywearing, and I pop out the stroller or hand the baby over to dad. 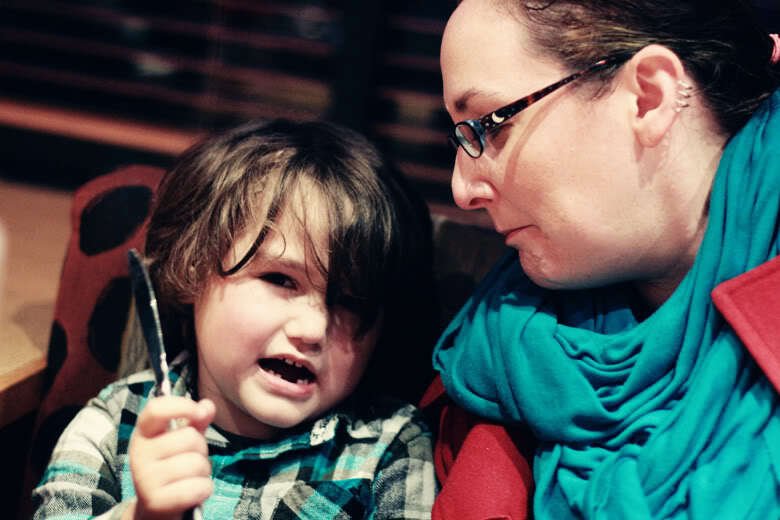 There are moments when my kid's screaming makes me want to scream in return, and so I either do, or I leave the room. And that's not even factoring in the challenges of parenting if you or your kids need extra assistance for health or other reasons. We do only what we can, with what strength and support we have. Our culture is not set up for attachment parenting. The !Kung have a whole tribe of people expecting and encouraging attachment practices. They even have the advantage of not wearing a lot of clothes and therefore not having to seek out specialized nursing wear! We have a lot set up against us from the start, with little outside support in terms of co-parents and alloparents and a lot of cultural weight against breastfeeding and cosleeping and babywearing and gentle discipline. So when we fail to be the perfect mother? Well, yeah. Who could be? And that's ok. Being the mother you are is ok. Most of us are not teetering on the edge of doing gross harm or negligence to our babies (as some babies have unfortunately experienced); most of us deeply love our children and want to do right by them — but are regularly frazzled and lonely and tested and trying our best to hold it together and give our kids a good childhood despite the obstacles. 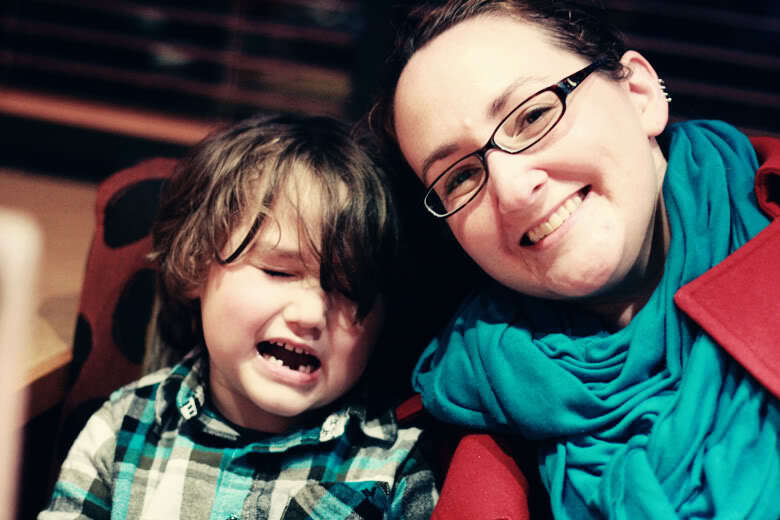 That kind of mothering — even with your feelings of guilt, regret, annoyance, and, yes, ambivalence — does not mark any of us as some sort of unfeeling monster. It marks you as human. When Mikko was a baby, he was what is termed "high-needs." Or, as we knew it, "screams-a-lot." We couldn't put him down. He breastfed constantly. He cried about anything and everything. We loved him, but it was exhausting. There were moments when I thought we'd ruined our lives by bringing this baby into our house. Fast forward to Alrik, a much calmer infant. And yet, I saw how he affected the dynamic between us and our older child. I saw how he brought renewed stress to our family life. I had the same thoughts again: Had we ruined everything by adding this new baby? And as our children grow, there are moments when Mikko makes me so mad I feel entirely irrational. How can he be so frustrating? How can I want to kiss him and kill him in the same day? I wish I could be perfect. I wish I could be this fully idealized Mother. Eh … maybe not. She sounds kind of snooty and boring. Reading books like Mother Nature, which give me a glimpse into how much worse motherhood can be (as well as, collectively, how much better), don't give me an excuse to behave badly or ignore my children's needs — but they do give me a bit of grace as I reach toward more respectful parenting, and yet forgive myself for the ways I daily fall short. We're not raising ideal children, after all — we're humans raising humans, some of whom one day will also raise children. The best we can do is keep giving what model we can of respectful parenting — and being honest with the ways our own wants and needs interfere, and the choices we need to make. We model circling back again and again to loving our children, even at those times we might not like them. And if you need to blow off some steam? Sing that lullaby to them! Here's hoping they keep me, hey? 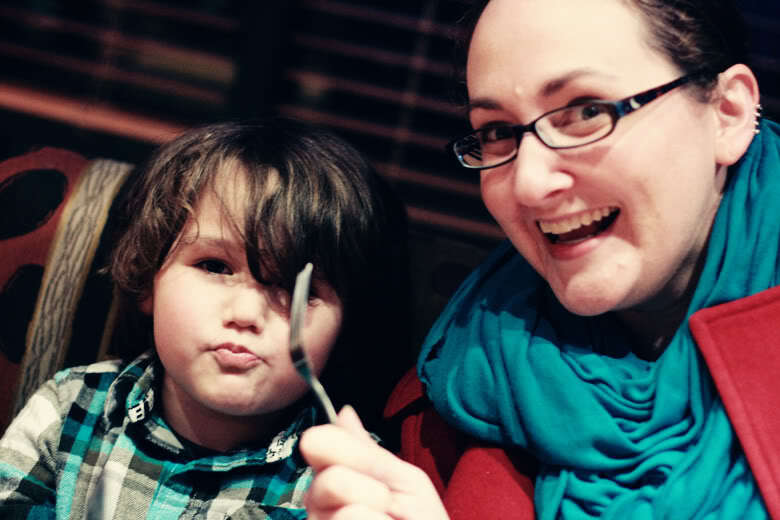 Learning to Like and Love — JeninCanada at Fat and Not Afraid divulges the long journey it's been to learn to love, then like, her son. Oh. Wow. First, I really want to read this book. Thank you for bringing it onto my radar! Second, you are so spot on with your post! Motherhood is so freaking complex and this attachment parenting gig is beyond outside of most mama's comfort zone. I think your post will open some eyes and make a lot of mamas feel a heck of a lot better about the feelings they are experiencing. Thanks for sharing this as part of the Carnival! What a great post! I totally agree with Jennifer's comment. I really want to read this book now! I love how sincerely honest you are about the darker quality of motherhood. I think when you hold yourself to a high standard it can be easy to fall into the pattern of beating yourself up when you don't always attain it. I do this to myself way too much and it only makes it harder to handle stressful events. Since you brought up the animal kingdom and animals eating their young, when my third baby was new, I swear he smelled exactly like roasted chicken. I had some horrible nightmares because of it! Nature can be fascinating. In my mind, I'm still growing and learning (as I hope to be until the day I die). My children give me so may opportunities for growth. When I screw up? It's give me the opportunity to model what to do when you screw up. And I forgot to mention, my first was (is!! Ha) a screamer and high needs, and the second more chill, and I've felt similar things regarding them both! Glad we had the tough ones first, right?! Wonderful, baring, thought-provoking post! Thank you! It CAN be dark and we DO falter time and time again, but we pick ourselves up and keep trying. We keep doing our best, even though our level of best can vary. So you're telling me you're not Buddha? @Momma Jorje: Ha ha ha! No. No, I'm definitely not. Amen. Those were my take-aways from that book as well. Babies may expect attachment parenting, but mothers sometimes have to compromise. I love attachment parenting, but you know, sometimes it's great to put my baby down on a blanket and chop onions in the other room too. Thanks for this!